The innovative and unique mission of New Ventures Charter School is to create a learning community in which all students, including those living in challenging economic circumstances and/or with emotional challenges and other disabilities, develop the skills and social fluency to lead fulfilling and contributive lives in their communities. 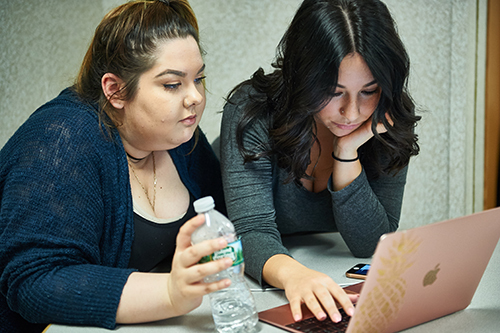 NVCS promotes college and career readiness for over-aged and under-credited students, whom are often disconnected and considered to be at-risk youth aged 16-21 living on Staten Island. Now in its third year, NVCS enables students to graduate from high school prepared to excel in their academic, professional, and personal lives. Through alternative scheduling and hands-on internships throughout the Staten Island community, our students are provided with real-world learning opportunities that their past educational experiences had not afforded them, enabling new experiences and new chances for confidence building success. 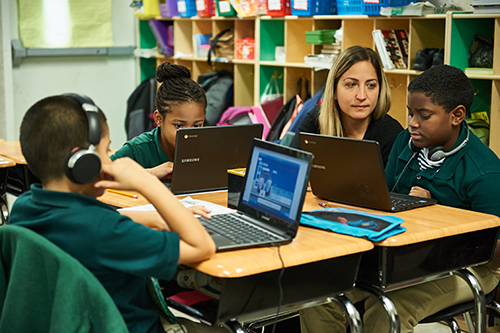 Through our first two fully operational academic years, we have seen students grow and thrive academically, and personally. Our graduation ceremonies, in which parents and families have the opportunity to cheer for and recognize their student’s accomplishments, are a testament to our mission, that over age and/or under credited students have every opportunity to graduate, and succeed in the right setting. We take pride in being the “right setting” for our students and families.